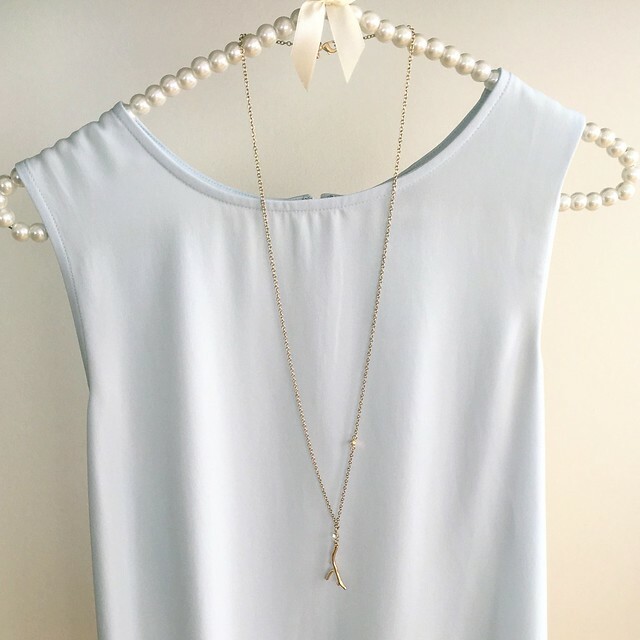 I haven’t tried the cold shoulder trend yet but when I saw this strappy off the shoulder top it looked like the perfect flirty shirt for date nights and going out. It’s currently 50% off tonight and many sizes are sold out online but you can check your local stores for more sizes. I also snagged these patent bow pumps in black since I loved the blush color so much. 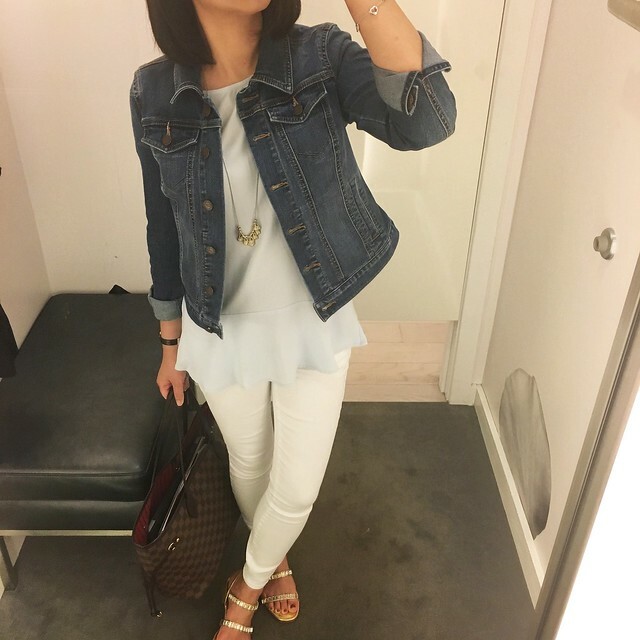 I wore this outfit on Friday and I love this classic matte jersey peplum shell so much that I also have it in winter white. My friend and I also wanted it in illusion blue but it was only available in regular missy sizes so I ordered it for the both of us with the rest of my online order last week. Since we both took size SP for the white color I was pretty sure size XS regular would fit similarly and it turns out it was only about 1″ longer in the front and back. 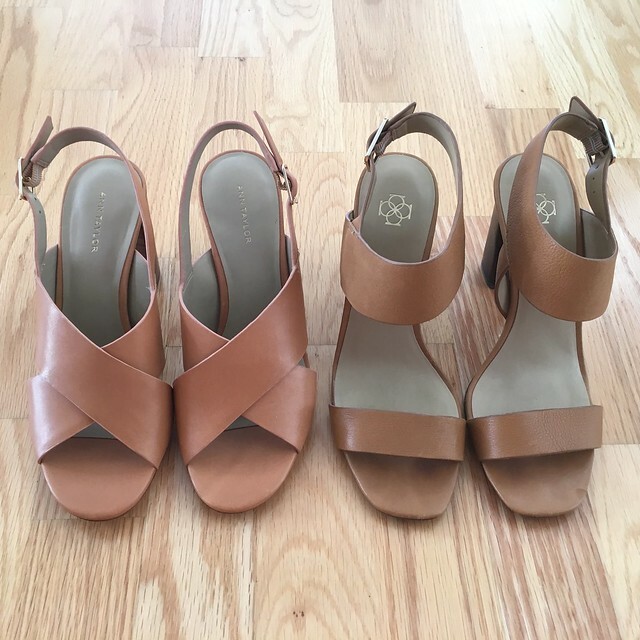 I received the Louisa block heel leather sandals that I ordered in tan but the color looks different in good lighting and it has an orange tint to it making it less of a neutral than I would prefer. Personally I didn’t like this color against my skin tone so I returned it. I wish the color was closer to cognac. They run true to size per my previous review here. 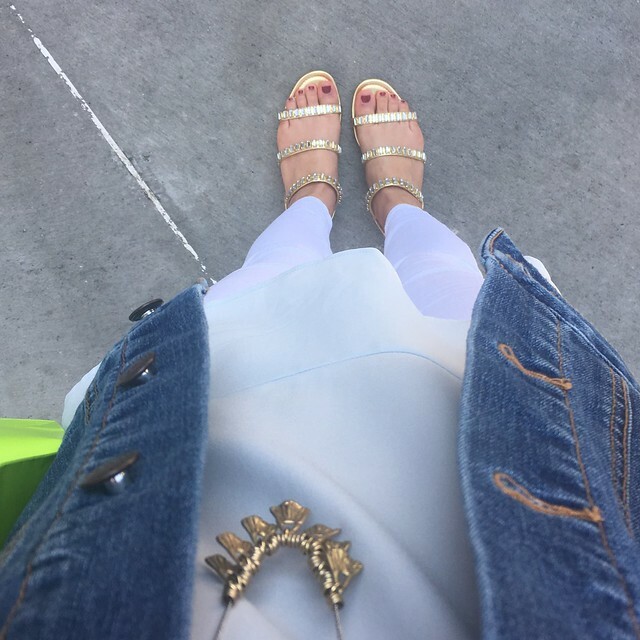 See my quick snapchat (username: whatjesswore) review here, here and here comparing them to last year’s version.